Premium trim, Aurora Black exterior and Black interior. Keyless Start, Dual Zone A/C, Hybrid, Aluminum Wheels, Back-Up Camera, Onboard Communications System, iPod/MP3 Input, Satellite Radio. SEE MORE! 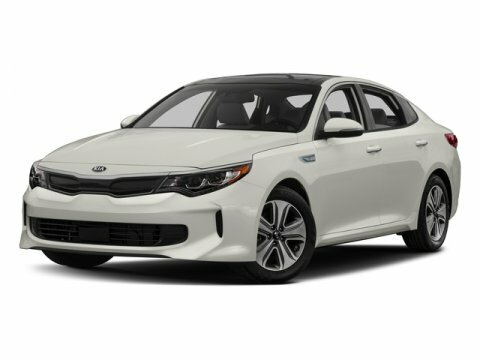 ======KEY FEATURES INCLUDE: Back-Up Camera, Hybrid, Satellite Radio, iPod/MP3 Input, Onboard Communications System, Aluminum Wheels, Keyless Start, Dual Zone A/C 2018 Kia Optima Hybrid Premium with Aurora Black exterior and Black interior features a 4 Cylinder Engine with 192 HP at 6000 RPM*. MP3 Player, Remote Trunk Release, Keyless Entry, Steering Wheel Controls, Child Safety Locks. Serviced here, Non-Smoker vehicle, New Tires, New Brakes. ======VEHICLE REVIEWS: KBB.com explains The good news is that superior handling doesn't come at the expense of a harsh ride.. ======OUR OFFERINGS: The friendly staff at Galeana Chrysler Jeep Kia is looking forward to answering your questions! Be sure to request more information and browse www.galeanasc.com for monthly specials. We are conveniently located at 180 Greystone Blvd. Columbia, SC 29210 the zoo exit. 803.779.7300 Gotta Go. Gotta Go to Galeana! *Price includes dealer $225 closing fee. Price does not include tax or tag. New Car pricing is after applying dealer and factory advertised incentives and offers. May include special financing through Chrysler Capital, KMF, or Ally.